Conventional non-destructive testing (NDT) has long served as the starting point in establishing or evaluating an asset’s fitness for service. From construction to decommissioning, NDT can be used to detect anomalies and defects, some of which may require further specialist inspection or remediation. We deliver a portfolio of conventional NDT solutions tailored to meet diverse needs. 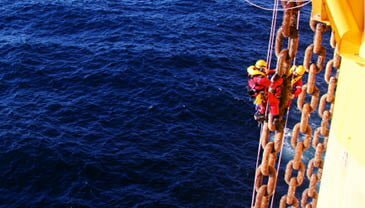 In the last two decades, the focus of NDT has advanced to address emerging concerns. So have our services. We provide an extensive range of specialist inspection solutions for applications ranging from detecting complex defects arising during manufacture and construction to process-induced integrity issues in upstream, midstream, and downstream assets. We offer an integrated approach and call upon our vast portfolio of products and services to meet your subsea inspection requirements. 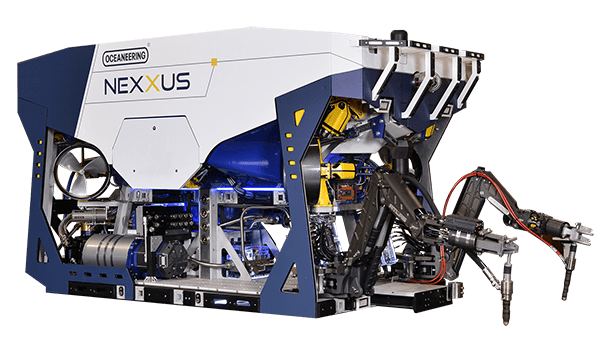 From remotely operated vehicles (ROVs) and vessels to divers and subsea inspection tooling—we have the portfolio and expertise required to provide cost-effective, optimized subsea inspection and integrity management solutions. Our track record places us at the forefront of pipeline NDT technology as we meet your inspection requirements within demanding construction cycles.​ We deploy a variety of radiographic and ultrasonic tools to capture the data you need to confirm compliance with pipeline construction standards. We provide efficient, reliable detection and characterization of flaws during construction. Our systems are independently qualified by DNV-GL and verified by client validation programs. Our range of two- and four-wheeled drive crawlers use x-ray or gamma radiation and are capable of operating in pipelines with diameters from 3 to 72 inches. For more than a decade, our AUT technologies have been deployed globally to inspect pipelines with diameters from 4 to 48 inches. Our vendor inspection services position us as the key interface to verify that the requirements you have outlined and the quality standards you expect are fully satisfied before a product is dispatched. Our highly skilled teams offer comprehensive services to meet your diverse needs, from vendor audits to shipping inspections. We offer extensive services for inspection, third-party verification, and certification of cranes and lifting equipment. Our offerings include consultancy, design, and manufacturing of specially designed, purpose-built cranes and lifting gear. We also complete compliance evaluations; risk analysis; and failure mode, effects, and criticality analysis (FMECA).